My guest tonight is drawing from the spiritual philosophies and meditative practices of classical yoga, Hinduism, Buddhism, and Taoism. Jason Gregory is doing fantasinating work with philosiphies, sciences, religions, you name it and he's showing us how to enlighten our minds. Jason Gregory is an author, philosopher, and teacher specializing in Eastern and Western philosophy, comparative religion, psychology, cognitive science, metaphysics, and ancient cultures. He is the author of Fasting the Mind, Enlightenment Now, and The Science and Practice of Humility. For several years he has lived in Asia studying the classical spiritual traditions of the East. 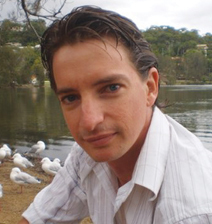 Jason lived in India studying the Hindu schools of Vedanta and classical Yoga, and the Buddhist schools of Mahayana and Zen. While living in Nepal he studied Vajrayana and Tibetan Buddhism. He lived in South Korea studying Korean Buddhism, Confucianism, Neo-Confucianism, and Taoism. In South East Asia Jason lived in Thailand studying Theravada Buddhism and its monastic Forest Tradition, while taking numerous research trips into the monasteries and temples of Cambodia, Laos, Myanmar, and Vietnam. Jason has traveled extensively to over 15 countries.